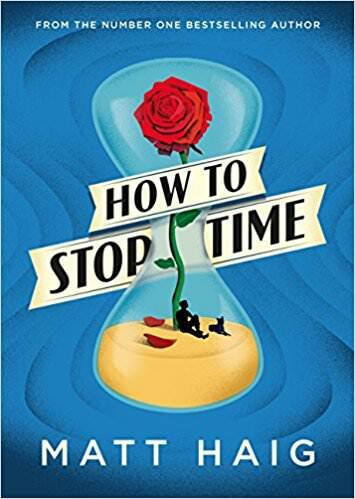 How to Stop Time by Matt Haig is a novel that follows the life of a man who lived for hundreds of years. Mr. Haig wrote a memoir, award winning children’s books, and several novels. The first thing I thought about when I read the description for How to Stop Time by Matt Haig is the graphic novel (later a successful movie and TV series) Highlander. This book is not the same, but there are some similarities along the way, but not to worry, it is a far cry from the story. I enjoyed this book, I wish it would have been a series which could be expended since the author touches on several storylines, but due to size has to rush through them. There is the story of the history teacher that actually lived the history. The story of a man out of time, looking for companionship knowing full well that it would be a hurtful, and relatively short relationship. Most interesting there is the story of a man out of place and time, searching for his daughter, for centuries, who is also out of place and time. I enjoyed the descriptions of historical London, the walks which the protagonist takes through the town, remembering the old buildings and events is a fascinating way to tell the story. The story moves fast, the narrative is clear despite the multiple timelines and stories. I am much too cynical of a man to enjoy sugary “love-will-conquer-all” endings, but I can certainly see how most people would like it. Now in back London, Tom is a history teacher with a unique view of history, he has discovered that there are others like him, in a Society to keep their secret from zealots, politicians, and scientists. Tom has been looking for his daughter for hundreds of years, the Society has promised to help him, but it looks like they’re just using him to do their dirty work instead.